This is the Niagara Falls hotel for you if you want to be close to the Falls and many other popular Niagara Falls attractions. This boutique hotel in Niagara Falls is conveniently located just steps from the mighty Falls in the heart of the Fallsview, hotel, dining and entertainment district. We are conveniently next door to the world famous Skylon Tower and across the street from the Fallsview Casino Resort. Come stay at the Quality Hotel Fallsview Cascade and find yourself just steps to the best Niagara Falls attractions, restaurants and the mighty Falls. When looking for the ideal Niagara Falls hotel to stay at during your vacation, choose Quality Hotel Fallsview Cascade. We offer Jacuzzi suites, King rooms with fireplaces, amazing Fallsview rooms and spacious queen or double bed rooms, hardwood floors and plasma TVs. Each room with its own distinctive individual décor. At Quality Hotel Fallsview Cascade you’ll enjoy more than just our great guest rooms. We offer terrific onsite amenities including Deluxe Continental Breakfast, 24 hour coffee, relaxing indoor pool, hot tub and free parking. Experience Niagara Falls best hotel deals with any one of our best-value Niagara Falls Hotel Packages. These Niagara Falls Hotel packages takes the planning right out your vacation. For a truly extraordinary stay, we recommend you try our Niagara Falls Dining package and savour fine dining in the world-famous Revolving Dining Room at the Skylon Tower right next door. 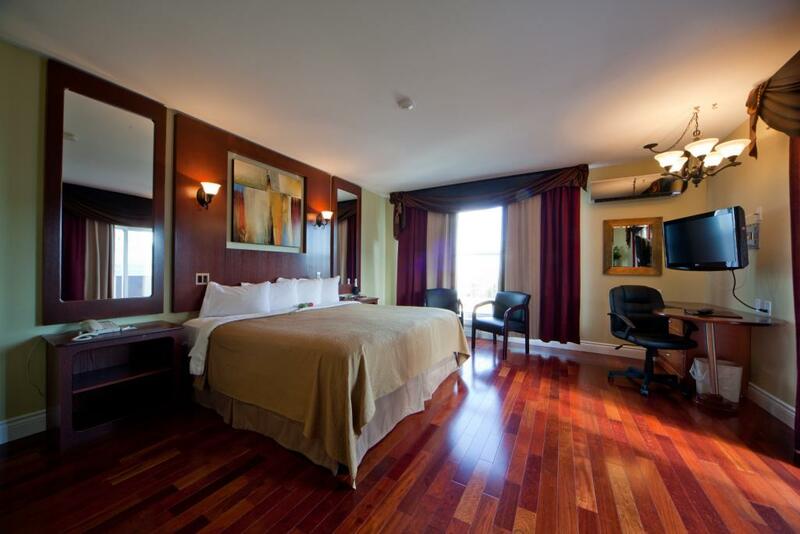 And for the perfect Niagara Falls Honeymoon or Romance Package choose one of our beautifully appointed Jacuzzi Suites. Whatever you’re looking for we have a package designed just for you. Fine Dining, Romance, Casino, Golf or Niagara’s favourite attractions package. Quality Hotel Fallsview Cascade is one of the best hotels in Niagara Falls for amenities, cozy rooms and great Niagara Falls attraction packages. When looking for the very best in Niagara Falls hotels, you'll find it at Quality Hotel Fallsview Cascade where location, value, comfort and convenience is top notch.